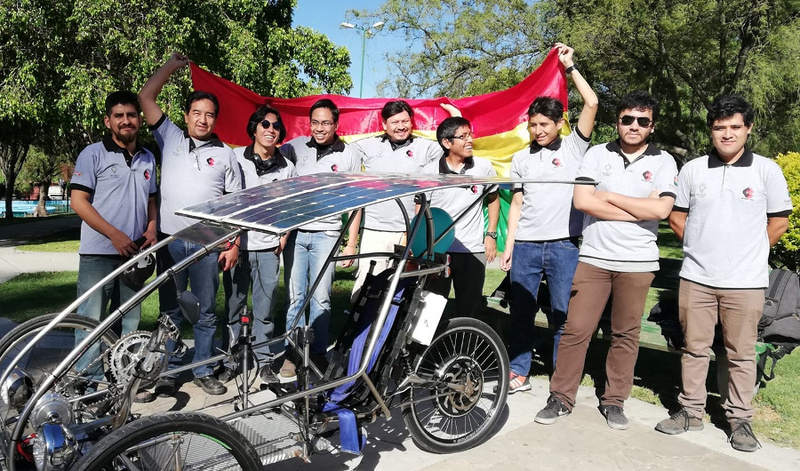 The 4 Challenger and Cruiser teams listed below will participate in the Carrera Solar Atacama in Chile later in October. 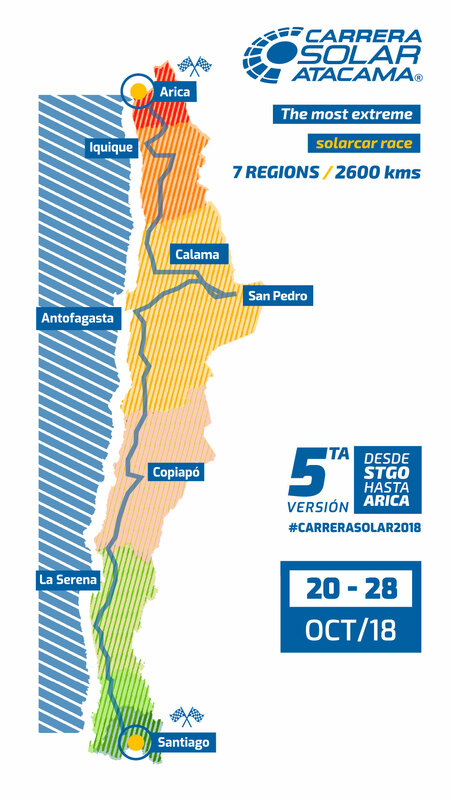 The route, shown below (click to zoom), passes through elevations ranging from sea level to 3415 m. See also the official race social media at (click on the symbols) and the live tracker. This team came 6th at WSC 2013. They came 5th at WSC 2015. They came 3rd at WSC 2017. They came 3rd at Abu Dhabi 2015. They came 2nd at ESC 2016. Their car is called Punch 2. 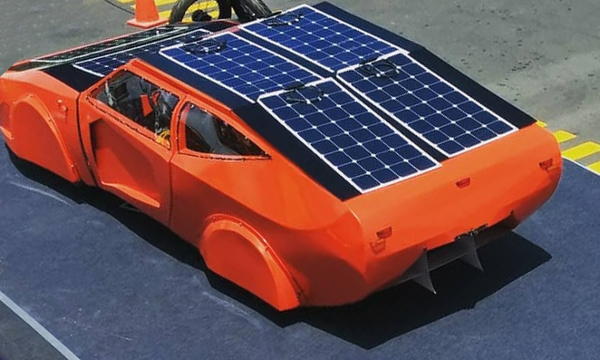 They recently raced a modified version of their 2015 car (Punch One) at iESC. Their team number (8) is a long-standing tradition. This is a local team. Their car is a Cruiser, called Haalur. 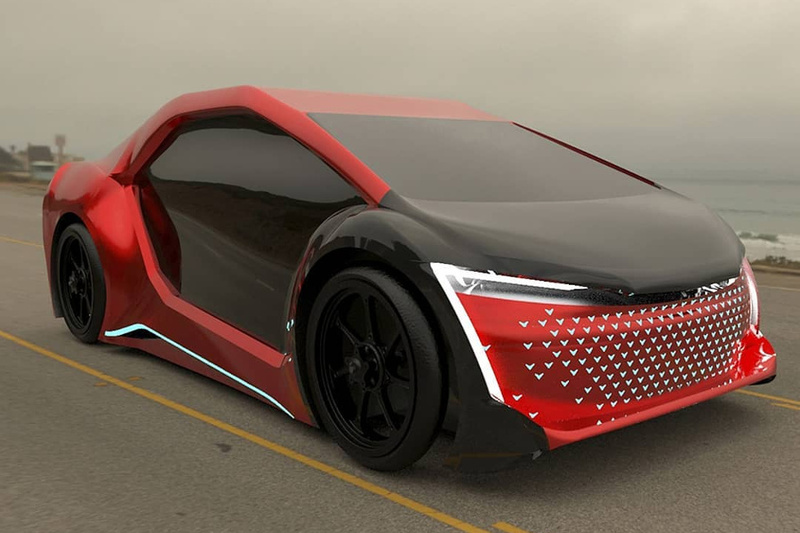 A render of the car is shown below. 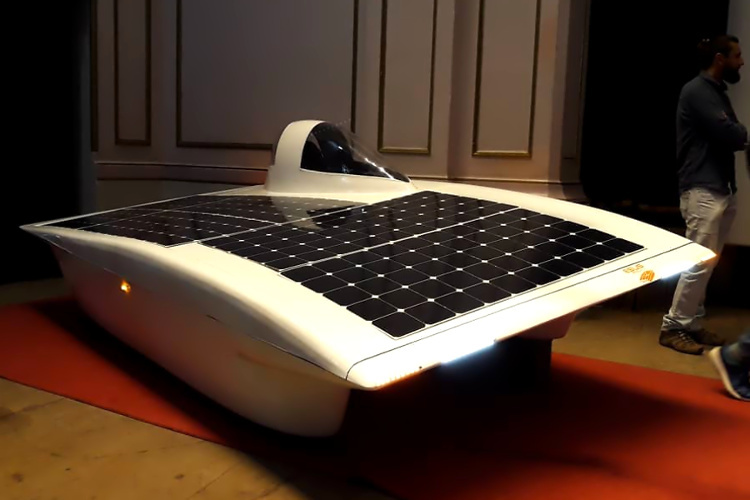 A presentation and test drive of the unfinished car was held on October 10. This is a local team. Their car is a Cruiser. This is a local team. 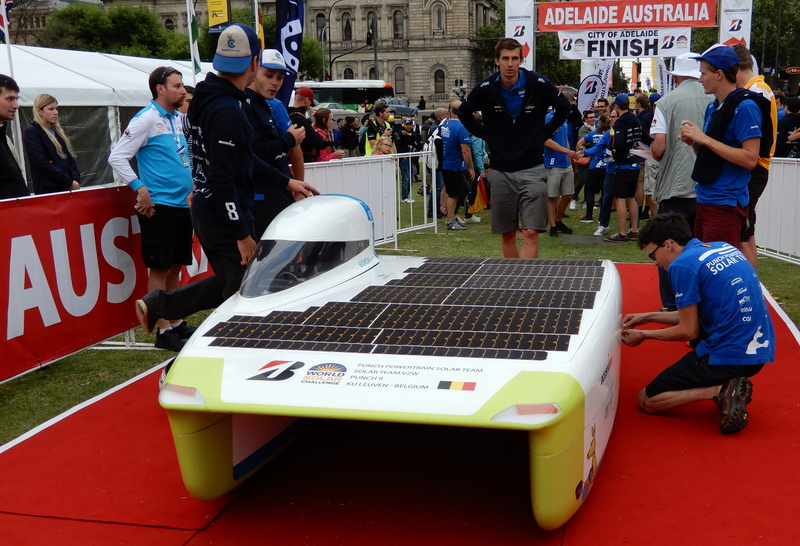 Their car is called Apolo IV.